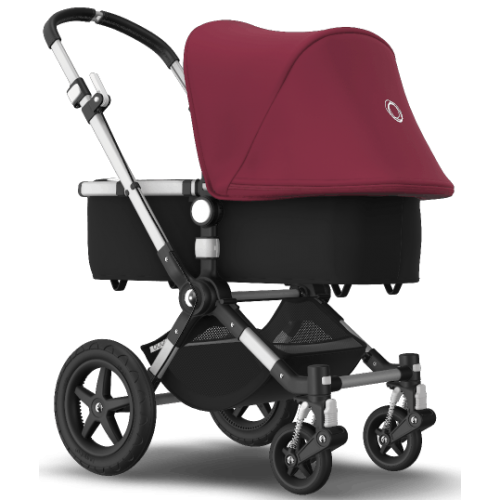 The new Bugaboo Cameleon³ plus offers all the practical features parents know and love, with more styling options than ever before and a redesigned under-seat basket for easier access. The original pram has been helping families get out and explore for more than a decade and is a firm favourite thanks to its versatility and ease of use. From our rigorous testing to the use of durable materials, the Bugaboo Cameleon 3 plus is designed for everyday use and built to go that extra mile… and even further. Use it for your children, pass it to your family and friends, and it will still be going strong years later. Right from the start, the Bugaboo Cameleon was designed to make life on the move easier for parents. The reversible seat is adjustable to suit your child’s every mood – facing you or facing the world. And the reclinable seat means they can sit up straight when awake, recline when relaxed, or lie flat when fast asleep. The handlebar can be adjusted to your ideal walking height. The Bugaboo Cameleon 3 plus is ready to go from day one. 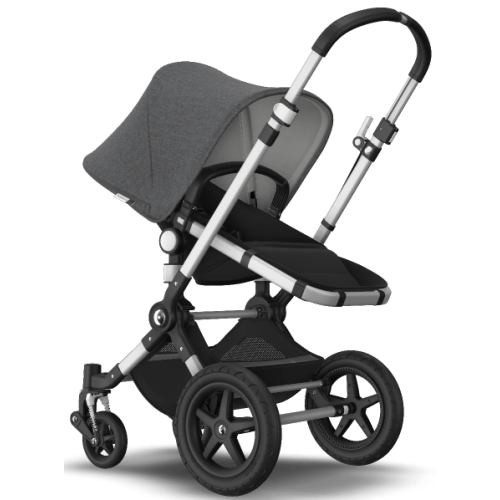 Use the bassinet from birth, attach your car seat with our click-and-go adapters, then transition to the seat position when your child is ready to sit up and see the world. Push with one hand and let the small front swivel wheels provide smooth turning and a stable, comfortable ride in the city. When you’re taking on rougher terrain, simply reverse the handlebar to put the big wheels forward or pop it into the two-wheel position for an easier ride through sand or grass. It’s packed with easy-to-use features but at 9.6 kg, it is still light enough to be carried when you need to. 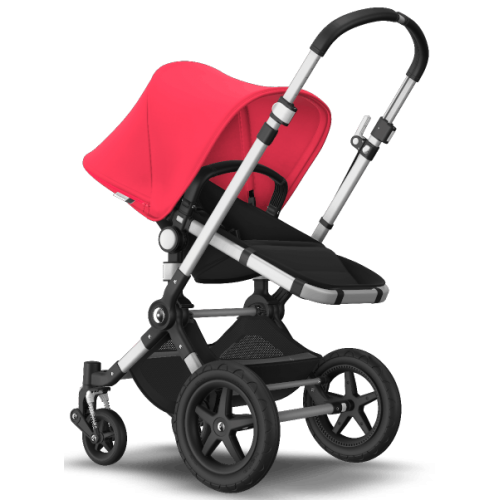 The pram can be folded down into two pieces to a compact size so it’s easy to store at home or in the boot of your car. 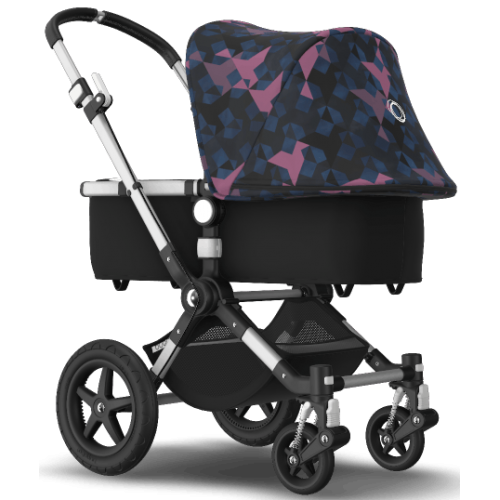 At only 59 cm wide, the Bugaboo Cameleon 3 plus is designed to go wherever your day takes you. If you’re visiting a café or restaurant, simply flip the handlebar and your child can join you at the table. Easily adjust the swivel wheel suspension based on your child’s weight for a comfortable ride at every phase of their growth. The 5-point harness keeps your child secure in their pram seat, while the SPF 50+ fabric provides protection from the sun. 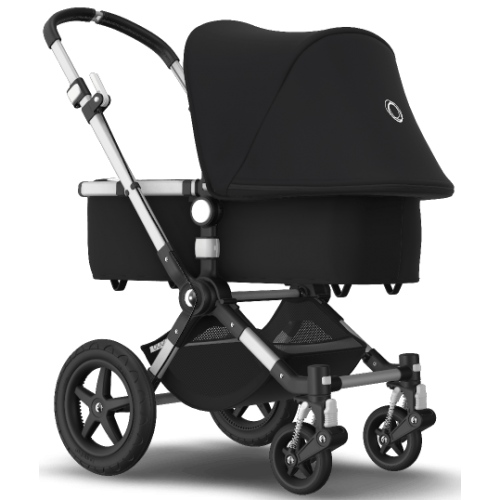 Carry everything you need in the underseat basket which has been redesigned to provide easier access. Seat/bassinet frame and chassis with wheels. 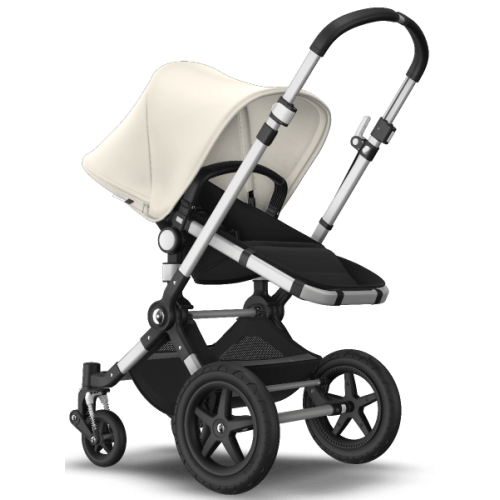 Car seat compatible with Chicco®, Britax-Römer® and Maxi Cosi®. Adaptors sold seperately.